Next trip: Snowboarding & Sahara 4+months! – Do your dream! The plans are coming together! We’ll be leaving UK just after Mel has a girly xmas party on 11th December and we’ll be slowly heading to Valloire (http://www.valloire.net/uk/il4-winter,skiing_p81-skiing.aspx ) in the Alps for 6 weeks or so where we plan to become decent (ish!) snowboarders and also to vastly improve our French language skills. Ah Oui! We’ve bought our season ski passes ( http://www.skipass-valloire.com/pages/ ) for a bargain 199€ each which also gives us 40% discount at other resorts in the Maurienne valley – including Orelle (Val Thorens) http://www.orelle.net/index.php?page=ski_tariff as well as few others. Actually, we’ve upgraded the ski pass to give us summer use as well – so after Mel (and I!) have had some training we may have some time in Valloire in the summer mountain-biking down the mountains! 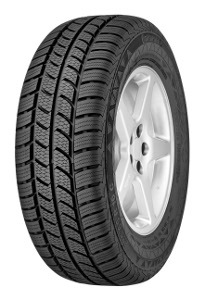 We’ve also got some new tyres for the van – full snow spec – Continental Vanco Winter 2 which will be fitted in the next couple of days. These, along with snow chains should see is through. Its just had a vehicle service at Roy Wood Transits (thanks guys) and I’ve sorted out the rest of the habitation service and maintenance. Today I’ve been busy removing and re-sealing the skylights and my mother (bless!) has been making us some more thermal curtains ready…. Anyway, after Valloire we may try elsewhere in the Alps then head down to the Pyrenees for some boarding (St Lary maybe?) – then down to Sierra Nevada in Spain in late February. Then on March 8 we are heading into Morocco (in full winter trim still!). As we still have our snowboards with us we may well try and see if we can snowboard down a Sahara sand dune…. Not sure how we will like Morocco, but only one way to find out! More worryingly is that we are going with an organised tour from Desert Detours http://www.desertdetours.com – which I know will show us much more than we’d find ourselves, but being in a group…. errr…… We’ll let you know! Once the tour finishes at the beginning of April we’ll either stay in Morocco or head to the Algarve for some more beach and hopefully get some surfing and kite-surfing sorted before getting back in the UK late April or early May. The only thing we’ve got booked when we get back is some Mountain Bike training for Mel in preparation for a possible summer Alpine visit…..
Loads of planning required for this trip – insurance for this type of trip is a nightmare – and of course we’ve got to ensure everyting is perfect before we go. If anyone is going to be in the Alps at roughly the same time, or indeed if anyone is on the same Desert Detour tour then let us know. And friends are more than welcome to join us in Valloire – we’ll be staying (camping) in the village.